Many people surprisingly believe that there is only one type of DUI charge in Pennsylvania. This is wrong and if you fail to understand the different types or “Tiers” in Pennsylvania, you are headed down a bad path. 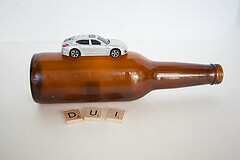 DUI charges are divided into 3 Tiers. Within two hours after driving or operating the vehicle, the alcohol concentration in your blood or breath (BAC) was 0.08 percent to 0.09 percent. Notice that under Section 3802(a)(2) unlike Section 3802(a)(1), the prosecution doesn’t have to prove that you were incapable of driving or operating a vehicle safely. It’s not an element that the prosecution must prove beyond a reasonable doubt! Within two hours after driving or operating the vehicle, the alcohol concentration in your blood or breath (BAC) was 0.10 percent to 0.159 percent. Notice that under Section 3802(b) unlike Section 3802(a)(1), the prosecution doesn’t have to prove that you were incapable of driving or operating a vehicle safely. It’s not an element that district attorney (prosecution) must prove beyond a reasonable doubt! A Tier III violation is the highest tiered DUI. It’s a violation of Section 3802(a)(1) when you refuse the blood or breathalyzer test, Section 3802 (c) or Section 3802(d)(1) or Section 3802(d)(2). Within two hours after driving or operating the vehicle, the alcohol concentration in your blood or breath (BAC) was 0.16 percent or higher. Or the metabolite of a Schedule I, II, III.